Lee University. . .and its growing!!! Recent historical numbers compiled by the UXAA show that despite Upsilon Xi only accounting for less than .7% of the current student body, Upsilon alumni have contributed more than 15% of the Lee University Annual Alumni Fund since 2008. 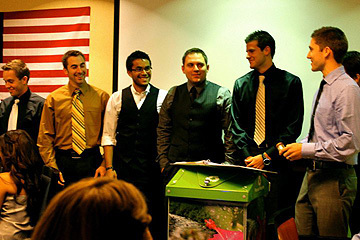 In 2009, Upsilon contributed over 18% of all money raised. Over the past 10 years, alumni of Upsilon Xi have contributed just shy of $400,000 to Lee University. Click here to see the full list of Upsilon donors. Tentative Schedule for 50th Anniversary Homecoming set. Alumni asked to RSVP for event - click on image below for more details!!!!! At Lee Homecoming 2010, Courtney Hindman (Fall 2003) became the 10th Upsilon member of the Lee Athletic Hall of Fame. 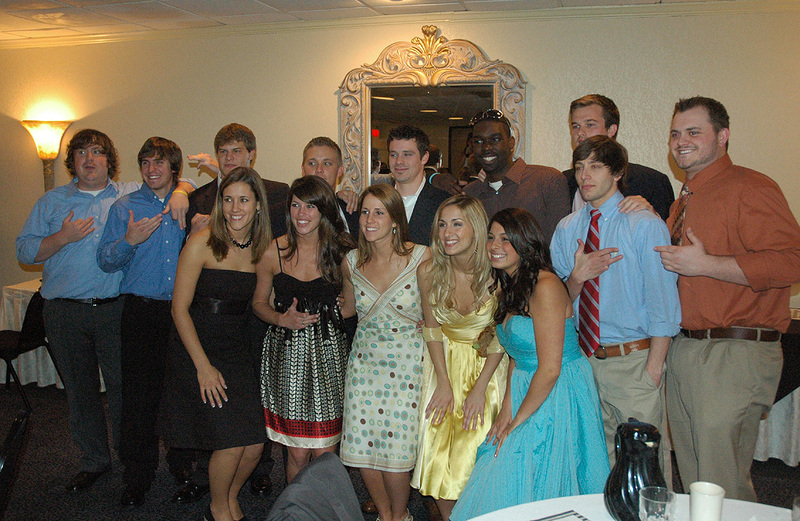 The Lee HOF has 47 members, and Upsilon alumni account for over 20% of its membership. 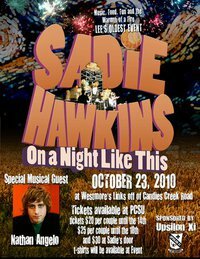 Upsilon Xi's annual Sadie Hawkins will be held on October 23rd from 7-10pm at the Westmore property by the LINK. For ticket availability and prices, click on the link above for further information. 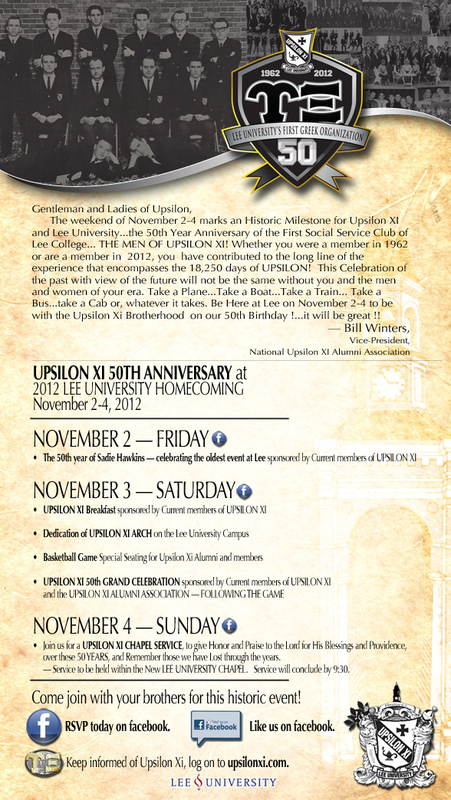 Upsilon Xi “a MAJOR FORCE” in raising funds for Lee University. . .and its growing!!! Recent historical numbers compiled by the UXAA show that despite Upsilon Xi only accounting for less than .7% of the current student body, Upsilon alumni contribute greater than 11% of the Lee University Annual Alumni Fund. 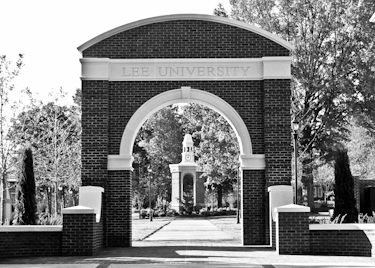 In the past 10 years, Lee University has raised $3,272,558 during its annual campaigns and Upsilon alumni have contributed over $354,900 (11%). 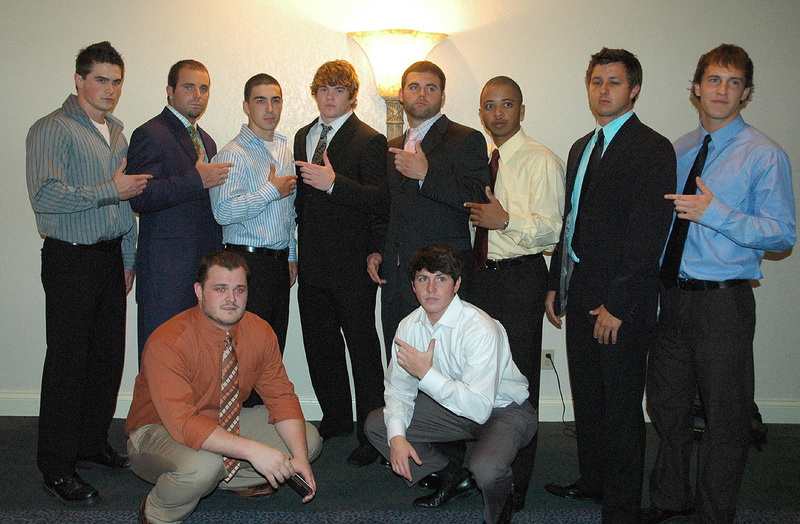 In 2009, Upsilon contributed over 18% of all money raised. Click here to see the full list of Upsilon donors. Former Upsilon Xi Alumnus of the Year Bill Winters won the Republican primary in Bradley County to serve as County Commissioner for the 7th District. 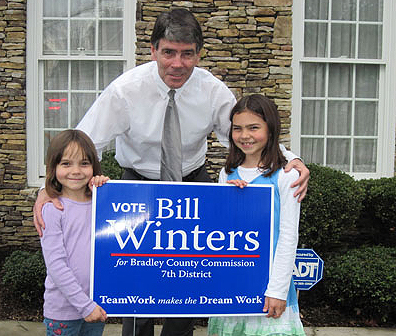 Due to the demographics of the 7th District, Mr. Winters will run unopposed during the August 8th General Election. Bill lists membership in Upsilon Xi proudly on his campaign website. The Committee to Amend the UXAA Constitution (Co-chaired by Dr. Dewayne Thompson and Dr. Robert Fisher) have completed their work and are now posting draft copies of the proposed, new Constitution. Relive the "Love Atlanta Run"
It's been 23 years since Upsilon staged this epic service project that garnered media attention throughout the southeast. Recently archived photos and articles from the event have been added to the Upsilon website to make sure the Love Atlanta Run is never forgotten. No other Lee University club has had one of its members elected as General Overseer, and now a Upsilon man will serve in that office for a record 8 straight years. 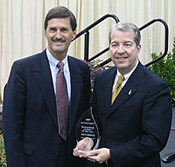 Following two straight terms by Dr. G. Dennis McGuire (2004-2008), Dr. Raymond Culpepper was re-elected last week to serve his second straight term (2008-2012). Click on the link to see all of the Upsilon men who were appointed to serve during the Church of God's 73rd General Assembly. $3,000 was raised, which provided $264,000 worth of wholesale good to be sent to Haiti. After leaving Lee University, Upsilon alumnus Vernon Darko started his own company that has grown into a multi-million dollar exporting juggernaut. Vernon is the President of EquipXP, internationally known as an industry leader among export companies with specializations in procurement and distribution of transportation and heavy construction equipment. EquipXP is based in Houston, TX with international satellite offices worldwide. 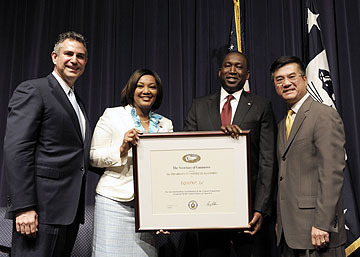 On May 13, 2010, US Commerce Secretary Gary Locke honored EquipXP with a Presidential “E” Star Award. The Presidential “E” Star Awards are the highest U.S. government honor for increasing exports. The Presidential “E” Award was created by President John F. Kennedy in 1961 to recognize persons, firms or organizations that contribute significantly to increasing U.S. exports. The “E Star” Award, meanwhile, recognizes continued superior performance in increasing or promoting exports. In response to the many messages received from alumni inquiring about how they can get a nice copy of the Book of History, we are presently arranging to print a large number of copies in the next few weeks/months. They will be printed on premium paper, handsomely bound, and will contain the full content of the original book (they will include the Constitution, Bylaws, and Catechism that are NOT available in the Online version). Free copies of this printing will be sent to any donor who contributes at least $50 to the UXAA (which will also count as your "annual dues" to the UXAA). Please allow 4-6 weeks for delivery. The UXAA is a 501-3c non-profit organization. Dues can be paid by clicking on this link. Upsilon Xi will be partnering with Operation Compassion to hold a benefit concert to raise funds for the victims of the earthquake in Haiti. Every $1 raised will result in $88 of wholesale goods being produced in Haiti. This effort will be executed through an agreement with Operation Compassion, recently ranked by Forbes Magazine as one of the Top 3 most efficient philanthropic organizations. The concert will be held on April 24 at the Conn Center on the campus of Lee University and will feature Shawn McDonald as the headliner. For more information, please contact current Upsilon Xi Senior Member Nathan Nessle at: cnessl00@lee.edu. If the concert does not sell out, tickets will be available at the door, subject to availability, or can be reserved via e-mail at: haiti.upsilon@gmail.com. Please pray for a successful turnout, and let's "go the extra mile" for the community and Haiti!!!!! Upsilon's 43rd President, Zac Roland and his family are preparing for the mission field. Zac Roland and his wife Katherine are preparing to permanently go to the mission field in Mexico. Lord willing, they will be moving in May to Guanajuato and will be serving under Hands and Feet Ministries and Great Commission Ministries. Right now they are raising prayer and financial support. Please read their letter and pray about supporting their ministry. They can accept checks or on-line donations. All donations are tax deductible. 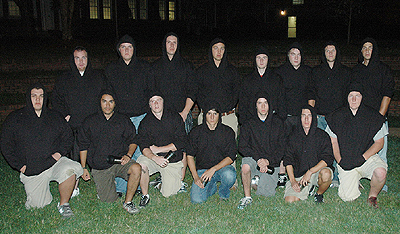 In an effort to present the most accurate and complete record of Upsilon's history to its inductees, the UXAA announced the formation of a new committee at Homecoming 2009 to create induction materials suitable for training new members. Chaired by Dr. Duran Palmertree (one of Upsilon's four founders and first President) and Mr. Bill Winters (Upsilon's 5th President), the first Book of History was released on January 21, 2010 and is currently being used to train new members. 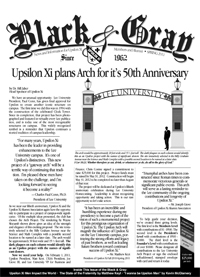 Individuals from every decade of Upsilon's history provided information used in its publication, including six of the original nine members. Edits to the book are welcome and will be included in subsequent versions. Please send any comments or corrections to UXAA President Joseph Giove at: JosephGiove@UpsilonXi.com. The First Book of History can be downloaded by clicking here. Progress on the Book of History and all initiatives of the UXAA can be continually tracked on the UXAA President's Agenda page. A former Upsilon Historian (Chad Madden) and former Upsilon Secretary (Bryan Sanders) will compete with "Voices of Lee" in a 4-day, prime-time competition on prime-time television to determine who is the country's best a cappella singing group. Click on this link to pre-vote for "Voices of Lee" or click here to see the "Voices of Lee" bio. As in previous years, you can now follow the activities of the UXAA through this constantly updated webpage. Many important projects and initiatives will be pursued during this term. Feel free to send us your suggestions as we are always looking for new ways to further the goals of Upsilon Xi. The highlight of the Upsilon alumni breakfast is usually the honoring of one of its alumni with the Distinguished Alumnus of the Year Award. 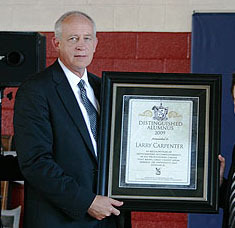 This year was no different, as Larry Carpenter took home the top award. 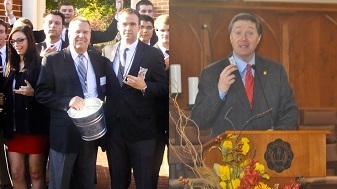 Click on the link and see all of the updates from Homecoming 2009, including the UXAA annual update and a video of Larry Carpenter's acceptance speech. Follow the latest developments with Upsilon Xi by becoming a "Fan" on Facebook. Facebook updates will stream on the bottom left of this page. Click on the icon to add Upsilon to your profile on Facebook. 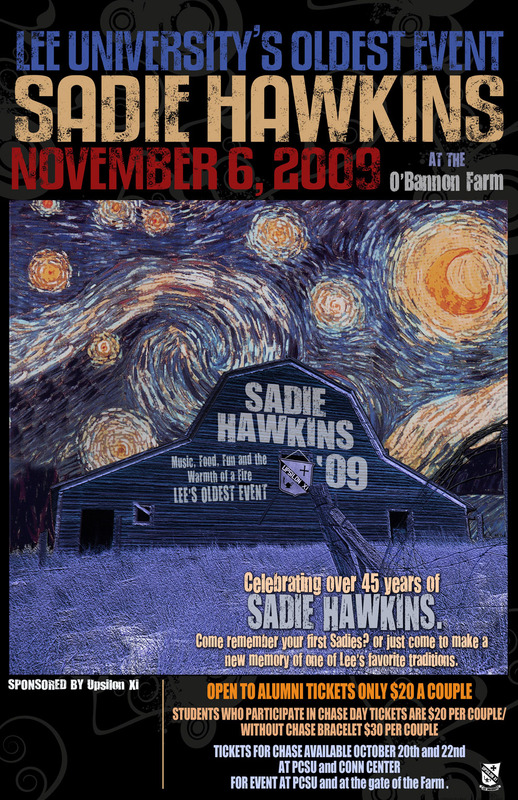 Sadies planned for Homecoming 2009!! 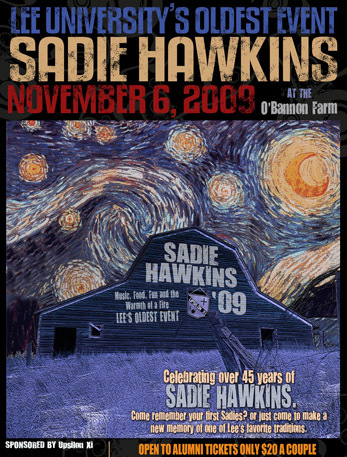 For the first time in history, Sadies will be held at the beginning of Homecoming weekend on November 6th, so Lee alumni wishing to attend should plan to arrive the evening before Homecoming day. The Sadies Chase Day will also be held on October 20th and 22nd. Bracelets can be picked up after chapel from 11:30 to 1:00. Sadies tickets will be sold during the Chase Days, DZT Ho Down (October 23rd) and on the following dates: October 26, 28, 30 and November 2-6 in the PCSU. Alumni may buy tickets during any of the above dates, or email Senior Member Mike VanHook at: vanhook08@gmail.com. 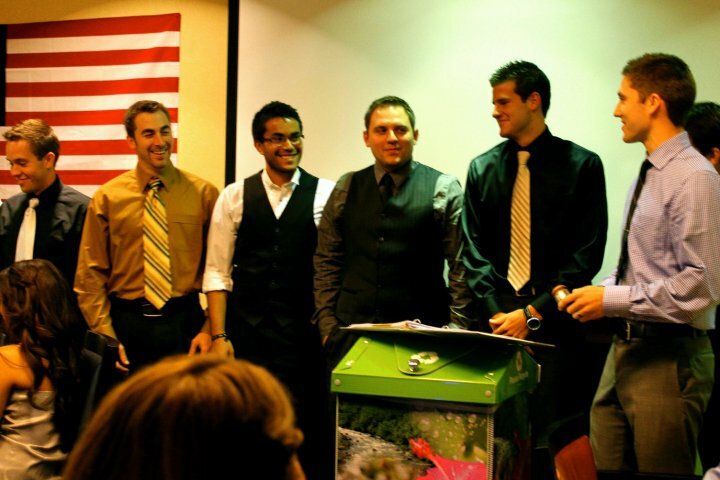 The tap of Spring 2009 ushers four new members into Upsilon. The new Highman is Matt Keyt from Marietta, Georgia, the Middlemen are Cody Brady from Huntsville, Alabama and Aaron Owens from Ashville, North Carolina, and the new Lowman is Jarrod Long from Marietta, Georgia. 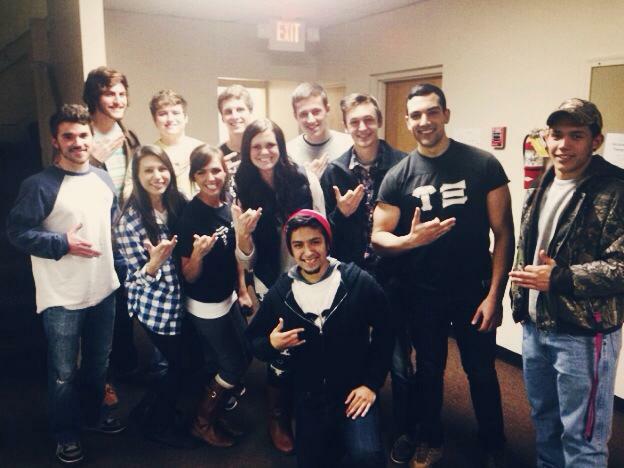 Upsilon also now has two awesome new little sisters and a new Sweetheart. On December 13, 2008, Ty Abernathy graduated from Mississippi State University (College of Arts and Sciences-Department of Psychology) with a Doctor of Philosophy (Ph.D.) degree in cognitive science. Dr. Abernathy, from Cartersville, Georgia, was a co-low in Upsilon Xi, tapped in fall 1991. 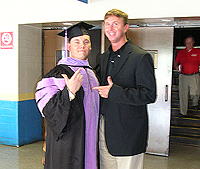 Johnny Tab Abernathy, his brother, also became a member in spring 1997. He and his brother are among several Upsilon alumni from Cartersville. Dr. Abernathy graduated from Lee University in 1995 with Bachelor’s degrees in both business and psychology, and from Mississippi State in 1997 with a Master’s degree in psychology. He has worked for the past decade as a research associate studying academic and social factors related to first-year student success and retention. 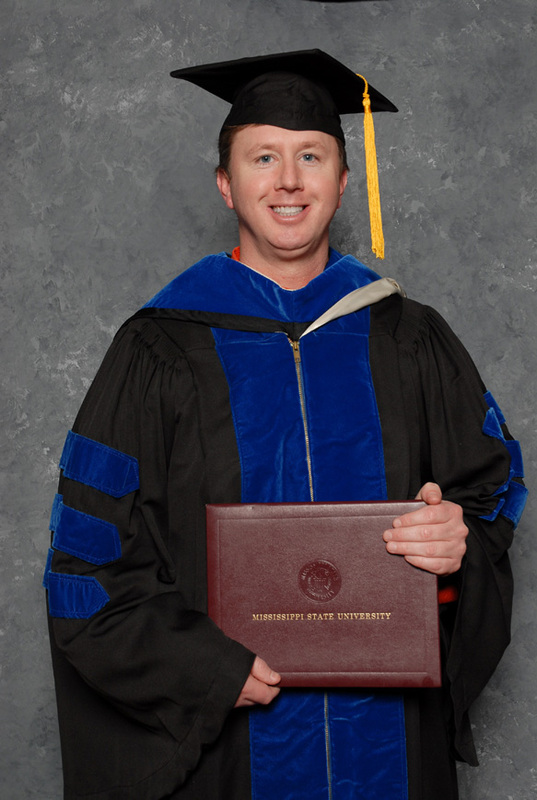 He also teaches psychology courses at both the Mississippi State University and East Mississippi Community College. Dr. Abernathy has remained an active supporter of the club since graduating from Lee through the Upsilon Xi Alumni Association and other various projects. 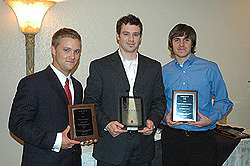 At the 2008 Upsilon Xi Alumni Breakfast, Upsilon honored Dr. Doug LeRoy as this year's Distinguished Alumnus of the Year. 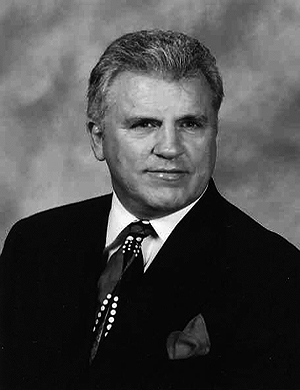 Dr. Leroy was one of the earliest members of Upsilon Xi, and currently serves the Church of God as Director of the Department of World Missions. 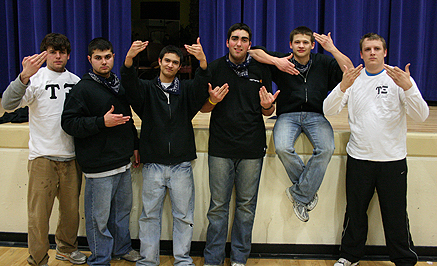 Click on this link to see all of the updates from Homecoming 2008. Upsilon Xi tapped 15 new prospective members this fall, more than any other Lee club. 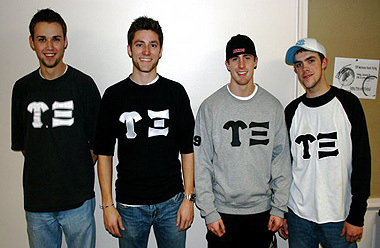 Among those tapped were several with ties to Upsilon including: Xavier Jasso (brother of Milo Jasso (Spring 2003)), Josh Glass (son of former Upsilon President Guy Glass (Spring 1978) and brother of Matt Glass (Spring 2001)), Jared Jaber (son of Bill Jaber (Spring 2001 Honorary Member)), Joey Castillo (brother of Kevin "Chico" Castillo (Spring 2007)), Nick Hammett (comes from Josh Childers' Youth Group in SC (Spring 1999)). Also tapped were: Steven Panos, Rob Wooden, Chris Lane, Joe Eaton, Eric Thomas, Logan Vinson, Mark Cole, Jonathan Landis, Mitch Varner and Benjamin Wilson. Over $2,000 in donations poured into the UXAA during the alumni breakfast alone, and pledges are still coming in. Click on the logo above to read the report from the alumni breakfast, and click here to join the UXAA. 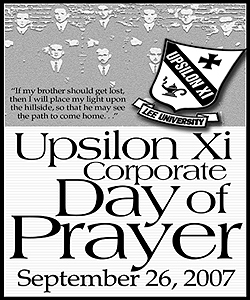 Upsilon's first ever "Corporate Day of Prayer"
Why is September 26, 2007 an important date to remember? The answer is simple. . .before that day 45 years ago, Upsilon did not exist. It was only a dream. Now, all Upsilon men and women are encouraged to take some time on this day to thank God for all of His graces (including Upsilon), and to pray specifically for those who were in your tap or in the club during your time at Lee. Ask Christ to meet your brothers right where they are, asking Him for strength, healing, help with finances, renewal and restoration for each brother. Even if you do not know your brother's needs, Christ does. Perhaps this is also a great opportunity to make a phone call or two and ask your brothers how they are doing and if they are coming to the 45th in November. For those in the Cleveland area, a special Corporate Prayer will be held in the North Cleveland Church of God Prayer Tower at 6pm. 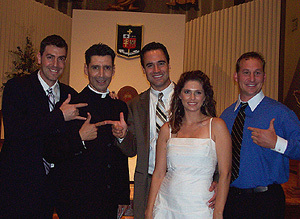 Former Upsilon alumnus Gilbert Medina was ordained as a priest of the Roman Catholic church on June 16, 2007. Upsilon Xi handed out its annual award at this year's senior banquet and three men were honored for their extraordinary contributions to the club. Matthew Propes was named the "Outstanding Senior", Brock McIntire won the "Bill George 110%" Award, and Jonathan Gosnell won the "Bill Helton Sportsmanship" Award. Upsilon member Kevin Brooks was sworn in today as a member of the Tennessee House of Representatives, representing the 24th District. 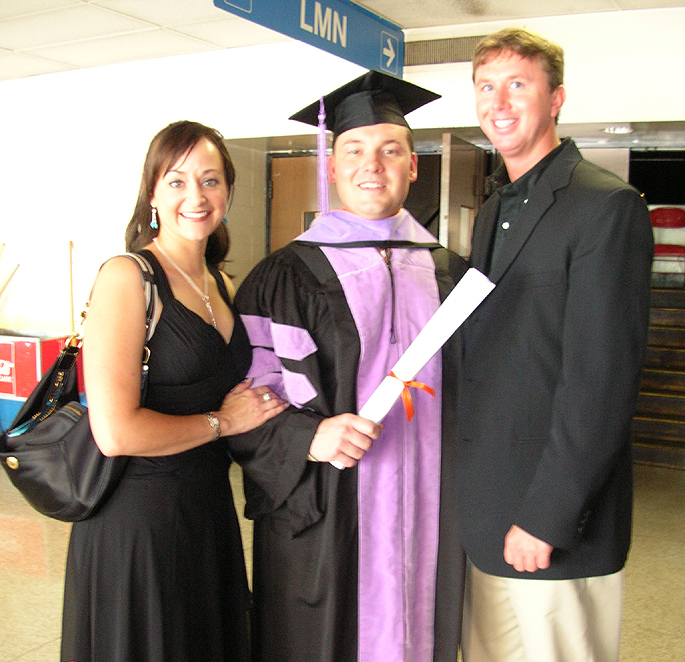 Kevin becomes the first Lee University alumnus and Upsilon man to hold this public office. The Republican primary was held on August 3rd and Kevin won in a landslide. Kevin ran unopposed in the general election. 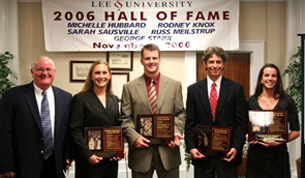 At Homecoming 2006, four athletes were inducted into the Lee University Hall of Fame. Russ Meilstrup (spring 93) and Rodney Knox (spring 93) were Upsilon men. The other two inductees were Michelle Nash Hubbard, wife of Brian Hubbard (spring 94), and Sarah Habermas Sausville, wife of Paul Sausville (fall 98). Upsilon Xi alumni were elected to dozens of senior offices at the 71st COG General Assembly held in July of 2006. For the second consecutive Assembly, the two highest offices in the Church of God: the General Overseer (Dr. G. Dennis McGuire) and 1st Asst. General Overseer (Dr. Raymond Culpepper) will be held by alumni of Upsilon Xi. 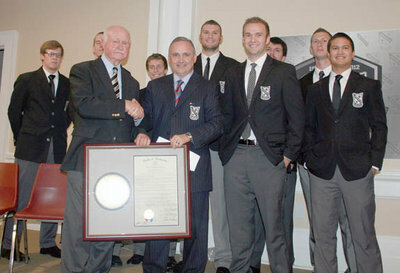 Before 2004, the General Overseer had never had a Lee University club affiliation. In addition to these offices, four Upsilon men serve on the Lee University Board of Directors. Check out all of the Upsilon men appointed to positions at the latest assembly. Milo Jasso has recently been named the 2006 winner of the F.J. Lee Award, the most prestigious award that can be bestowed upon a Lee University senior. Milo has held several positions in Upsilon while maintaining a 4.0 grade point average. Milo has worked in President Conn's office for the past couple of years and has engaged in countless acts of service, including several significant missions trips. Milo is the 13th Upsilon man to win the F.J. Lee award since its creation. . .more than any other club (3). Get up-to-speed on everything going on in Upsilon - Upsilon reaches out to victims of Hurricane Katrina, New Officers elected for the Upsilon Alumni Association, Dr. Bob Johnson wins the Upsilon Alumnus of the Year Award. Upsilon Xi mourns the loss this year of Stacie (Baker) Nipps and longtime friend of Upsilon Don Medlin. Click here to view Upsilon's obituary pages. For the 8th time in the last 17 years (and 4th time in the last 6 years), a Upsilon man was selected as the Lee University Alumnus of the Year. At Homecoming weekend, Bill George was awarded Lee's highest honor by Lee University President Paul Conn. Read Secretary Gentner and President McLeod's report on everything that took place this year at Homecoming. The UXAA is proud to announce the first ever Upsilon Xi Alumni Directory. The alumni directory will be used for alumni networking and career development among our current students and young alumni. Upsilon is the first fraternity to put together a directory of this type. If you would like to receive a copy of the alumni directory, follow this link. The Upsilon Xi website has been completely redesigned and enhanced. The new website boasts many new features including a Black & Gray archive (for the first time ever), and scores of new history, news, and links. Your feedback and comments are welcome. The website was designed by Highrock Internet Design, Inc. (Joe Giove) with special graphical design support from Wayne Slocumb. I am currently in Paraguay with 22 students. Four of them are Upsilon Xi men, Adam Brown, Tori Brown, Craig Sluder, and Hermilo Jasso. Today, we connected with a former Lee Alum and he helped us get with a local pastor. 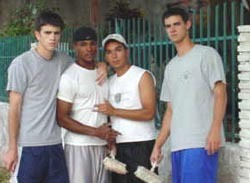 We went out today and helped him clean up and paint his church, Church of God, the Beautiful. We will finish up tomorrow. I think that it meant a lot to the pastor and his people. 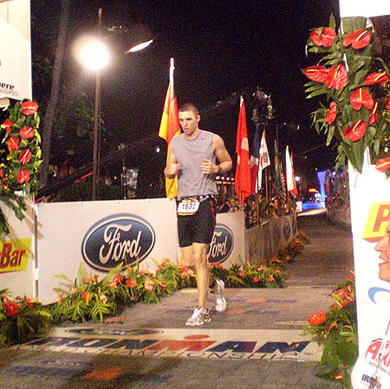 I am including a couple of pictures that you might want to put on the web page. I am very proud of these outstanding young men and the contribution that they made to this small church. The Upsilon Xi Website Guestbook will switch from an "open" format to a moderated format. Today I attended the commencement ceremonies at Lee University and proudly watched as the Upsilon Xi ceremonial mace, borne by the faculty marshal, Dr. Mark Wickam, a Upsilon alumnus, led the procession of faculty and graduates. The mace is simple, but beautiful. A 54-inch wood staff, ringed with gold bands, the top one-third carved with a repeated design of tiny raised squares, is crowned by a golden orb (14 karat gold) topped by a copy of the seal of the university. The golden orb is divided into two equal halves and the two halves are separated by a golden band, on which is inscribed the date of the school's founding. From the top, a set of intertwined cords hangs down about one-third the length of the staff. One set of cords is maroon and white, the colors of Lee University, and the other set is black and gray. The mace flashed in the sunlight and caught the attention of the crowd. The printed program explained the significance of the mace and gave credit to Upsilon for the gift. The 2003 Black & Gray has been mailed out. Everyone should have received their copy already. If you have not, please e-mail me at : lostBaG@Highrock.com with your correct postal address and I will attempt to get you a copy. Hopefully, The Black and Gray will be posted here in the next month or so and you will be able to view it Online. . .I will be on vacation in the Cayman Islands for the next 2 weeks. If anyone needs me, please use the following address: JoeGiove@hotmail.com. The UXW welcomes Brian Johnson to the e-mail directory. The UXW updates information on Ted Bowman, Torrey and Polly Jo Herrin, Michael and Kristy Trent, Michael Reliford, and Gene Batten. The UXW welcomes Steve Toole and Lee Bergakker to the e-mail directory. . .Information has been updated on David Wiseman. 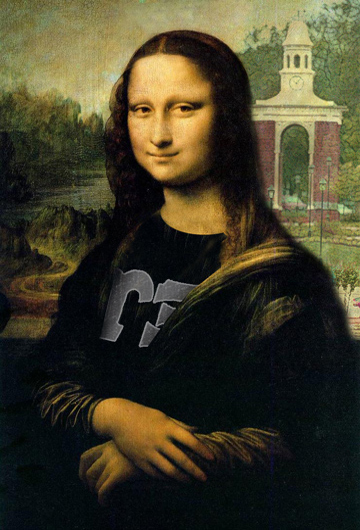 The UXAA continues to gain momentum with its "50 Friends of Upsilon" Campaign. We have had a very strong response thus far with 40 donations, but still need at least 10 more, so please continue to give. The UXW welcomes Jeremy Holt, Scott Hunter, Scott Thomas, and Todd Culpepper to the e-mail directory. . . The UXW would like to congratulate the Spring 2003 tap and especially Melissa Martin who was named Sweetheart and Justin Phillips who was named Highman. . . The prominent alumni page has been updated with five new names. . .Please continue your prayers for the daughter of Peter Penrose (her name is Bailey), who underwent brain surgery last week and is recovering at home. You may e-mail Peter at penrose4@juno.com. 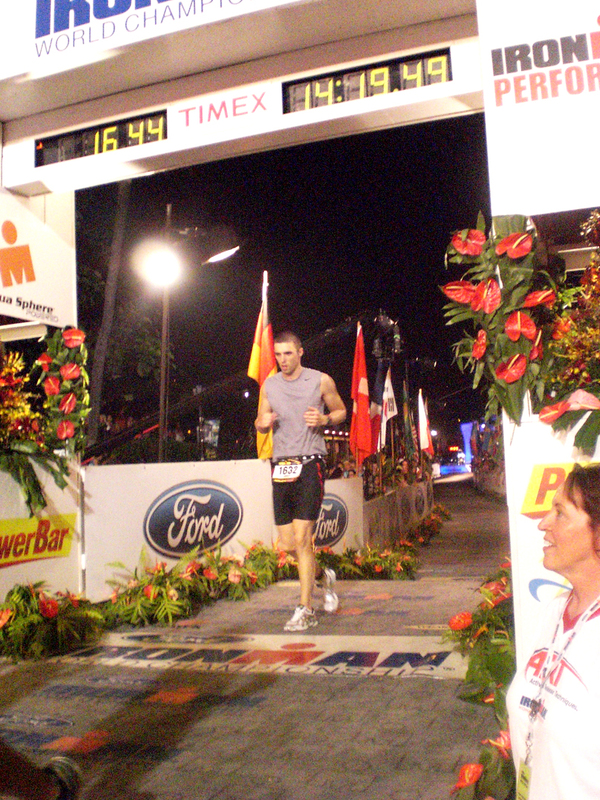 The UXW would like to congratulate Jeremy McCoy (Fall 1999) for his achievements. Jeremy plays bass and is a member of Jeff Deyo's band. Jeff's single "More Love, More Power" is currently #1 on the National Christian Music Charts. You may click here to read Jeremy's bio.